Why is Aston Martin Called Aston Martin? Those who are unaware of the Aston Martin story might think that the brand is a product of its founders’ surnames. 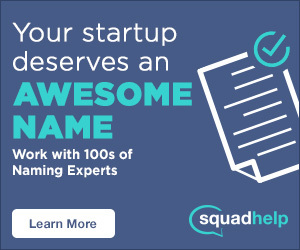 This is a reasonable assumption. After all, some of the best-known car brands like Ferrari, Chrysler, Ford, Honda and Porsche all bear the name of these successful corporations’ creators. Aston Martin however, which became famous for their luxury sports cars after James Bond cruised around in a DB5 Grand Tourer, is different. For this automotive behemoth, only one of its founders gets top billing on their logo: Lionel Martin. Aston Martin was established in 1913 by Robert Bamford and the eponymous Martin who met while they were both members of the Bath Road Club in Kensington. Though eventually Bamford’s name would be cut from the brand, the original company was simply called Bamford & Martin. They didn’t start out manufacturing automobiles right out of the gate. For the most part, they sold Singer Motors cars and serviced a number of other vehicles in their shop, before Martin and Bamford decided they wanted to start making cars of their own. Their first model was produced in 1915. This car was designed by Martin and engineered by Bamford. It was titled the Coal Scuttle, an affectionate term for a coal pail that was found in almost every British home at that time. The automobile used the chassis of a 1908 Isotta-Fraschini and a Coventry-Simplex engine. This was the first car to bear the Aston Martin name and was their only car produced for half a decade because World War I got in the way of their business plans. Why is it called Aston Martin? Aston Martin is a convergence of Lionel’s surname and Aston Hill, which was a three-quarter of a mile speed hill climb located in Buckinghamshire. 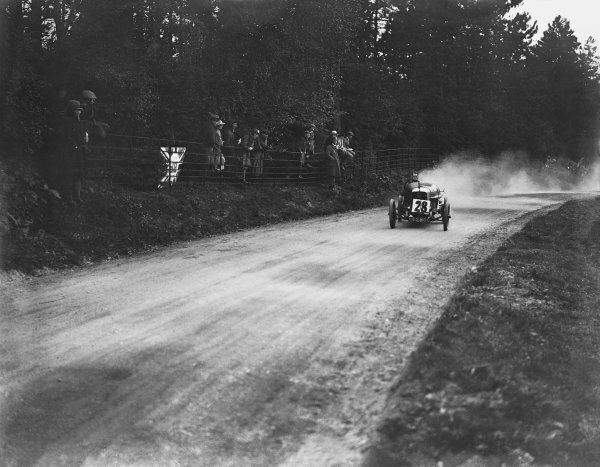 Lionel entered the race and first climbed the hill on April 4, 1914 in a Singer Car. Though there doesn’t seem to be much indication that the car designer ever won the race, his many attempts are commemorated to this day by the Aston Martin Monument, a plaque that was produced by the Aston Martin Owners Club and the Aston Martin Lagonda Limited to celebrate Martin’s first jaunt up the hill. The main reason Bamford’s surname was excluded from the final brand name was because he retired from the company in 1920. With his old friend and racing buddy’s departure, Martin wanted something that sounded slightly classier than Bamford. And who can blame him? Thus, Aston Martin was born. SEE ALSO: Why is Audi Called Audi? In 1922, the company earned a giant feather in its cap when cars they produced for the French Grand Prix set endurance and speed records during the competition. Though Martin himself would leave the company only four years later, in 1926, Aston Martin’s reputation and image were solidified as one of the most elegant sports cars in automotive history. Aston Martin has gone through many iterations and a handful of owners over the years, including being bought out by Ford in 1994. Though it has sometimes struggled financially, it still remains one of the most iconic British cars ever produced. Not every car brand can boast being the automobile of choice for 007 and the Prince of Wales. 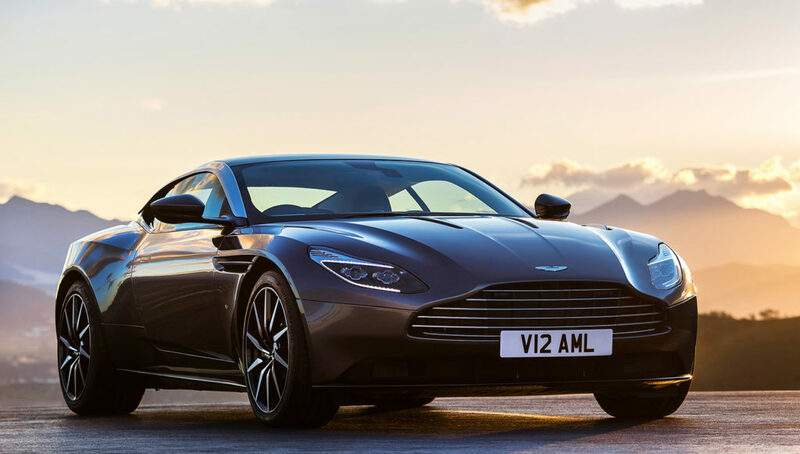 Can you think of a more high-class car than Aston Martin?